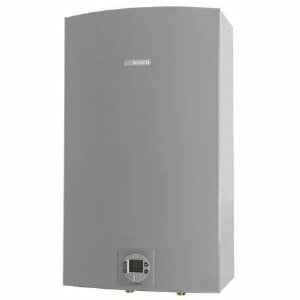 Check out the best and most efficient 50-gallon gas water heaters for home use, coming from the most popular manufacturers Westinghouse, Rheem, Bradford White, Reliance, American, AO Smith and other. Explore the top features and specs that provide efficient, long-lasting and reliable operation. See what makes these gas units unique, and what are the pros and cons. The 50-gallon gas water heater is one of the most selling and popular sizes (capacity). Some of the reasons are: the 50-gal model can easily meet the demand for hot water of the family size of four, there are many models available with the advanced features, and at the same time it is economical to buy and operate. With the capacity of 50 gallons, most of the gas water heaters can supply enough hot water to 1-2 bathroom homes, condos and apartments. For larger homes, busy families and demanding applications, 50-gal units with the advanced design, also high First Hour Rating and Recovery Rate, such as the models reviewed below, are ideal and best deals for the money. 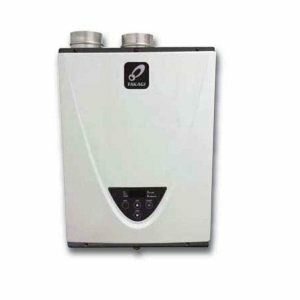 Searching, selecting and buying a good quality 50-gallon gas water heater that is reliable and durable, is tough, since many great models are, according to the manufacturers, “the best”. If you cannot find the suitable and affordable 50-gal model with the features you would like to use, go with the water heaters that have higher prices as they usually guarantee state-of-the-art technology and quality features. 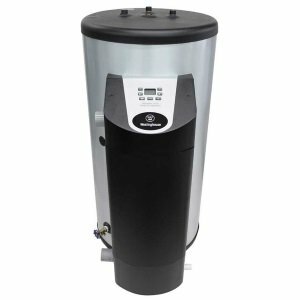 The list of the best 50-gal gas water heaters in 2018 is below, and it is the result of reviewing the main features, specs, benefits and consumer feedback. For the reference, we have used many websites like Amazon, Sears, Home Depot, Lowes, Epinions, forums, manufacturer sites, and other available tools. Westinghouse is a well-known company that produces high-efficient water heaters using the latest technology. A model WGR050NG076 is one of the rare 50-gal gas water heaters that is built as a tank-type utilizing the condensing technology. Unique design with the spiral heat exchanger allows Westinghouse to produce hot water with the superior 97% energy efficiency, making it Energy Star compliant and eligible for rebates. Also, with the stainless steel tank and heat exchanger, the unit becomes corrosion resistant and maintenance free, as there is no anode rod and potential rotten egg problem. 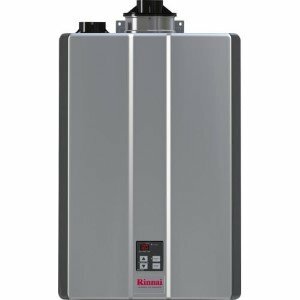 This is one of the most innovative 50-gal water heaters, offering advanced electronic for easy control, diagnostics, and troubleshooting. Ultra-high energy efficiency of 97% ensures great savings and reduced energy waste. Modulating and ultra-low NOx gas burner provides lots of power - 76,000 BTU. The water storage tank is made of 316L stainless steel for the long-lasting operation. Advanced electronics equipped with the LCD display for easy control and diagnostics. High First-Hour Delivery of 133 GPH makes it ideal for demanding homes. Versatile unit for use in residential and commercial applications. Customers like an endless supply of hot water and that they can save money with high thermal efficiency, including quick recovery. On the other side of the coin, the unit is expensive, big and heavy. According to some expert comments, this unit can last the lifetime, making it a good buy. AO Smith is one of the “Big Three” in the water heating industry offering many models, from small to large and from economy to state-of-the-art. 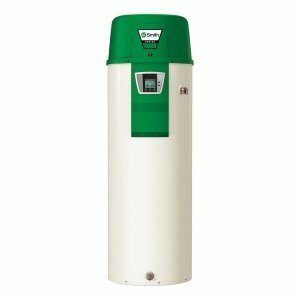 Vertex model GDHE-50-NG is one of the most innovative gas-powered hot water heaters from this manufacturer designed for domestic water heating. GDHE-50-NG is a Power Direct Vent unit that is available only in one size of 50 gallons, but due to the constant water flow of 4 GPM, it is recommended even for high demanding applications. As the above Westinghouse, Vertex 100 is also using condensing technology and ultra-low NOx gas burner, but with more power – 100,000 BTU. The water storage tank is not stainless steel. The high water flow and 129 GPH First Hour Rating allow plenty of hot water for 3-4 showers operating at the same time. Superior energy efficiency of 96% guarantees excellent energy savings and reduced bills. Top-fired and ultra-low NOx gas burner provide lots of power - 100,000 BTU. High First-Hour Rating of 100 GPH and Recovery Rate of 129 GPH. Spiral heat exchanger improves heat transfers and increases efficiency. It is designed for combined water and space heating, thanks to the side-mounted recirculating taps. Advanced electronic control with the digital display allows easy temperature control, diagnostics, and troubleshooting. iCOMM compatible - allows remote control. Flexible power direct venting allows installation horizontally, vertically and up to 125 feet in length. Superior tank protection using the heavy-duty anode rods and Blue Diamond glass coating. Customers like an abundance of hot water and fast heating, even when the incoming water is cold. Even during the simultaneous shower use, there is still enough hot water for others to use, as the recovery is excellent. The electric control allows easy setup, and it doesn’t require re-adjustment. The price of the unit is in a higher bracket, so it might not be suitable for budget-oriented families. Users would like to see a longer warranty. It was mentioned that care should be taken to install a large gas pipe so it can feed the strong burner and that there is a lot of condensate. In general, this is an efficient and reliable unit. 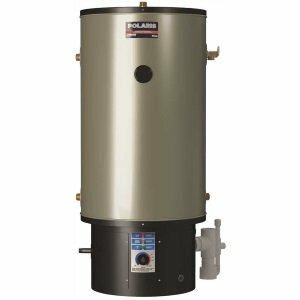 Polaris PG10 50-199-3NV is another great gas water heater that is superior over most of the models available today. This is the most expensive unit in this group of the top 50-gal water heaters, but also the most powerful with amazing 199,000 BTU. Looking at the manufacturer website, it is rated as the “BEST”. As the above Westinghouse, it is designed with the 50-gal storage tank, made of stainless steel (grade 444), making it corrosion resistant and maintenance free as the anode rod is not required. This allows the manufacturer to provide a longer warranty of 10 years. Uniquely designed with the submerged combustion chamber and helical flue ensures condensing operation leading to the ultra-high energy efficiency of 96% and amazing performance. As the above two models, it also has the ultra-low NOx gas burner and advanced electronic control. Stainless steel tank and heat exchangers for the durable operation. Power Direct venting using PVC, CPVC and PP pipes with the horizontal and vertical configuration and with the long runs of up to 130 feet. Advanced control panel and digital display. The maximum gas input of 199,000 BTU – strongest burner in this group. Side and top connections allow recirculation and combined space and water heating. The recovery rate of 253 GPH. As can be seen from the above reviews, Westinghouse, Vertex, and Polaris are simply the best on the market - built to last. Even with the higher prices customers didn't regret buying any of these, while truly enjoying the power and convenience they are getting from the state-of-the-art design.